To survive the evolutionary arms race, many animals have developed hardened exteriors to protect themselves from predators. Shells are heavy structures, so few vertebrates aside from turtles and a few armored mammals bear them; instead, most shelled creatures are invertebrates. Some of these animals have relatively simple care requirements and make good pets, while others are best left in their natural habitats. In all cases, you must research their needs before acquiring them and secure a relationship with a veterinarian qualified to care for unusual pets. Perhaps no other animals are as famous for their shells as turtles are. Despite the various forms their shells can take, all living turtles possess shells, which influence their lifestyles, diets and life histories significantly. 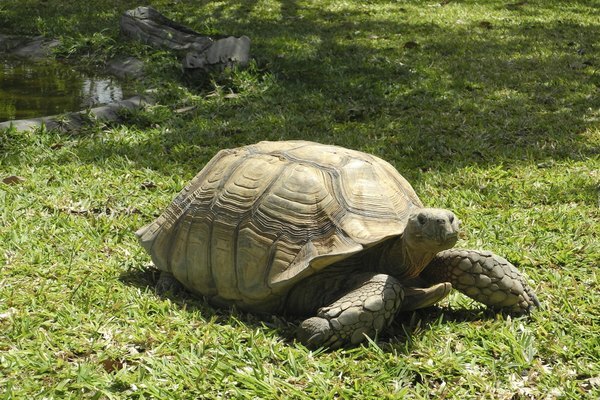 Several different turtle species make good pets, although many require large cages or outdoor pens. 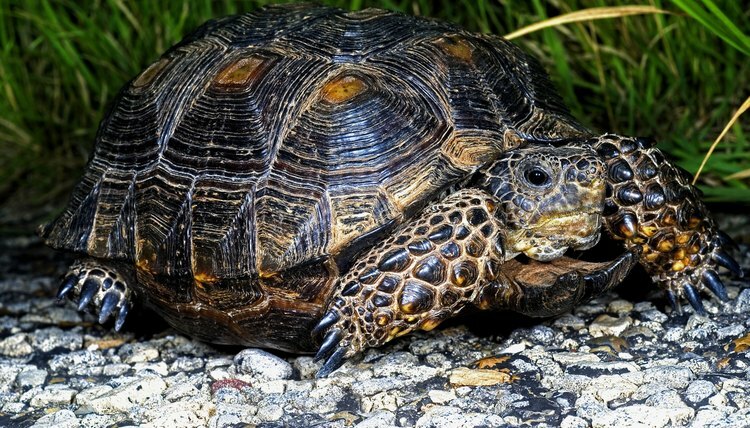 Tortoises often cost more than aquatic turtles, but their care is often much simpler, given they only need shallow water bowls, rather than water-filled aquaria. Most turtles require extensive heating and lighting fixtures to create a suitable climate. As most species rely heavily on speed and agility to avoid predators, armadillos are the only mammals that have evolved a protective shell. 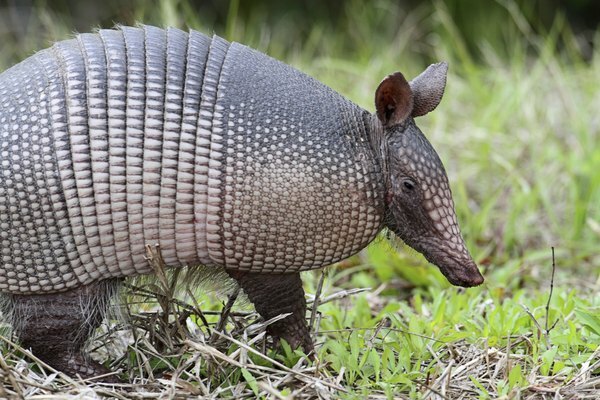 While armadillos can be kept as pets, their care requirements -- particularly their need for spacious, outdoor accommodations -- make them inappropriate pets for most people. Additionally, as armadillos are the only animal aside from Homo sapiens known to carry the bacteria that causes leprosy, they represent a potential health hazard. While most crustaceans bear hard exteriors, this usually takes the form of a calcium-rich exoskeleton -- not a true shell. 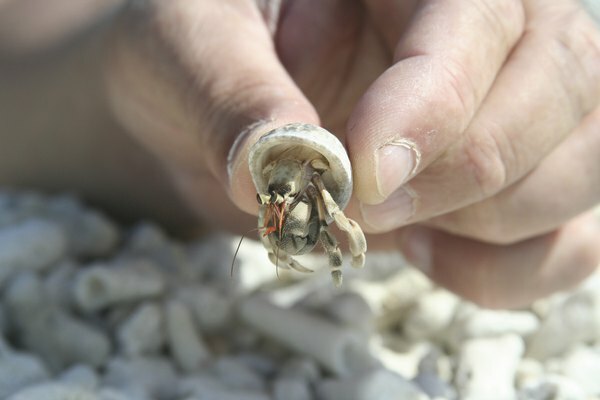 Even so, hermit crabs appreciate the additional protection of a true shell, and go to great lengths to acquire them. Hermit crabs do not make their own shells; instead, they scavenge the shells of dead mollusks, and cram their most vulnerable parts deep inside. Hermit crabs make suitable pets, given proper care, which includes a roomy, humid habitat with plenty of opportunities for hiding and climbing. Additionally, hermit crabs should be kept in groups, as they form immense colonies in the wild. Bivalves are mollusks that produce two symmetrical shells, which come together to protect the delicate animal living inside. While they are not very active, with proper care, you can keep some of these shelled mollusks as pets. Beginners should stick to easy-to-keep species, such as giant clams (Tridacna spp. ), while advanced hobbyists may have success with green-lipped mussels (Perna canalicula) and other species for which care regimens are still being developed. 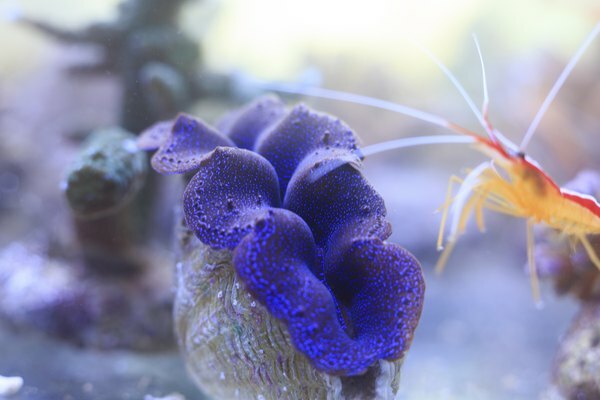 Bivalves are filter feeders, who ingest food particles that they withdraw from the water column, so in some cases, they can help reduce the amount of particulate matter floating in your aquarium. Some species possess symbiotic algae that have important lighting requirements for proper maintenance. Also members of the mollusk clade, some nautilus (Nautilus spp.) species may thrive in a suitable aquarium. 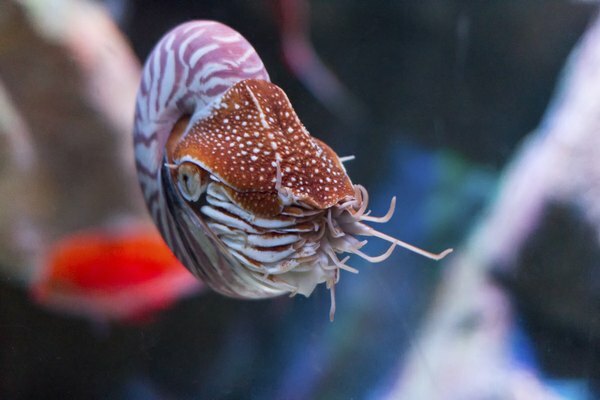 While nautiluses have a number of intriguing qualities, such as their beautiful shells, numerous tentacles and unusual form of locomotion, they inhabit relatively cold water. To keep nautiluses, you must replicate these cool water temperatures in the aquarium, which will require the use of a large commercial water chiller. Several aquatic snail species make excellent additions to aquariums, although some species are so prolific that they can overload your tank. Certain snails help reduce algae growth in the tank and are helpful scavengers. 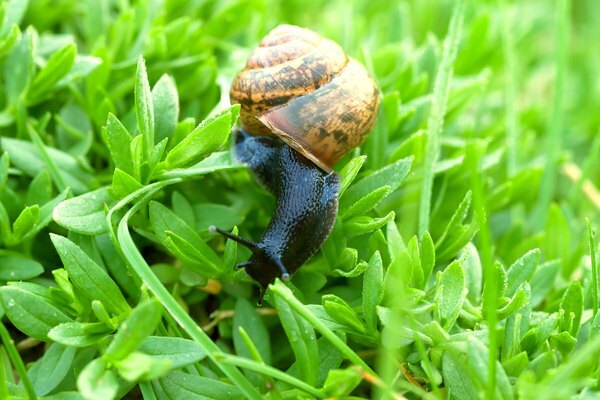 Land snails are often easy to maintain and they often have simple care requirements. But some of the giant species – for example, giant African land snails (Achatina spp.) – have become invasive pests, and are prohibited in the United States and Canada.